There are one or two I haven't been tracking. Time to add 'em. MobileMe: Hope you bought iLife... the web based HomePage tool is dead and gone! MobileMe: Good in theory, I have no actual experience nor do I ever read of anyone doing thsi. 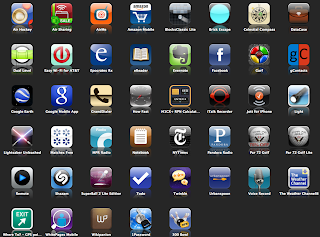 If Apple were to open up the iPhone APIs it would be a total blow-out for Google, with a nasty hit on MobileMe revenue. An excellent and brief overview of video formats - meaning codecs and wrappers/containers as of late 2008.By Gizmodo. For example: Apple's MOV is a wrapper specification, not a codec. They omit DV (used in camcorder tapes) and the formats Apple uses in their pro video editing packages but it's as good as anything I've seen. Each year our children's Aunt and Uncle send iTunes gift certificates. They love 'em. Your iTunes Store (US) does not match that of the gift certificate (Canadian). There's nothing about this in the iTunes Store - Credit Card FAQ. I sent a support email to Apple. I want to at least get a refund back to our relatives. Apple should include notification of this limitation during the purchase process, and they should have support information on their FAQ including an explanation of how to obtain a refund. I'll update this post with Apple's response. If the response isn't satisfactory, I'll suggest my relatives ask their credit card company to contest the charge. Update 12/26/08: Apple has thus far processed one return, I'm hopeful they'll refund the other two certs my in-laws sent. Update 12/28/08: iTunes support says they've all been refunded. I've been updating my initial post on Google Video Chat, but I think I've enough experience now to offer a status report. I've been testing XP to XP, and XP to OS X connections using Firefox. It takes a lot of CPU capacity. Practically speaking I think you want a dual core machine. It takes a lot of CPU capacity on OS X machines. On XP, compared to other video solutions, it's relatively efficient. It's Intel only of course, so G5 need not apply. The XP connections are pretty stable. If there's a nasty firewall involved, especially a nasty firewall with lousy bandwidth (some hotels for example) things get choppy and sound lags. If the connections are decent the results are quite good. OS X to XP connections are unstable. They work within a LAN, and they may work point-to-point with reasonably good connections, but when you add firewalls and VPN into the mix it falls apart. Google's Chat Help Forum is pretty worthless and so is their FAQ. I can't find any significant documentation. The workflow for establishing a "trust relationship" so that chat is possible is awkward and cryptic. The Chat contacts list UI is a mess, don't bother with it. Things work best if you type the gmail address of the person you wish to contact. Searching for a name then reviewing the menu of options isn't too bad. The Gmail integration is awkward. Google's notification / availability status workflow is a mess. Be sure to use the Settings menu of Gmail -> Chat Settings -> test connection. I'd grade Google's Video Chat effort as C+. That sounds bad, but the rest of the class is B- to F, and the B-kids are trending downwards and might drop out of school. I'll update the grades in a month or so. The voice quality when used with our Logitech Vision Pro (OS X, but we use them on XP machines because they don't require drivers and don't burden the CPU to do light correction and focusing) webcams is superb. Even on our creaky Dell laptops and feeble VPN network connections we can run both a point-to-point video conference and a LiveMeeting 2003 screen sharing session at the same time. Video degrades gracefully and audio remains excellent. This is actually pretty amazing, if you try to use LiveMeeting's native low quality video alongside LiveMeeting screensharing the video simply dies. All the other problems persist, but the fundamental technology on XP is truly amazing. Update 10/29/09: We had too many connection drops for this to be really feasible for use at work. We're retrying with 'nice to have' non-critical video only connections. We assume this is more issues with our network than with GVC. I have discovered a way to separate the chat from the image; if you have Google Talk installed (XP only) you have an extra chat window, so that can be managed separately from the video-associated chat box. The 10.5.6 installer was screwed up. It may be fixed now, but most geeks will download the entire 700MB+ Compo Update. I've just discovered that nothing I've published since Dec 11th is appearing on the primary web page (front page) of Gordon's Notes. My posts are all visible in Blogger, they are being published, they are appearing in the monthly indices, they show in my feeds, but the main page isn't displaying them. Weird Blogger bug. I'll see if I can fix it by switching templates. Update: It was easy to fix. I made some small edits to the most recent post that displayed on the main page, then saved it as draft. All the missing posts then appeared on the front page. I then republished the "bad" post and all seems well. If that hadn't worked I would have tried editing the oldest "hidden" post. ... Just to give an upper bound on the required resolution, standard 35mm film has a resolution of approximately 4000 lines per inch. Printed material is lower resolution, though I do not happen to know it off hand. If you are scanning slides or negative, there is no point at scanning the film at more than 4000 pixels per inch; there simply is no additional information beyond that resolution. For printing, a quick rule of thumb is the image resolution should be three times the printer resolution. If you have a 100 line per inch printer, then your image should be 300 pixels per inch after any size conversions (e.g. an image that will be 4x4 inches on a page should be 1200x1200 pixels for a 100 line per inch printer). Microsoft's amazing WLW team also did Onfolio?! Windows Live Writer 2009 RC released « whateverblog. Onfolio is the only Windows app besides Windows Live Writer that I use and admire. I'm quite sad that Microsoft bought it only to kill it. So one team did both products. I hope Microsoft is paying 'em very well! ver in Gordon's Notes, where I keep my ravings, I've opined on the root causes of the very slow development of useful and reliable low costs business videoconferencing. Not for the first time, a solution seems to be almost in reach. It's been a longtime coming. We've almost got reliable 640x480 (or more) 15fps point-to-point video with reasonably sharp edges and decent management of suboptimal lighting. That's enough to support facial expression tracking, and to enable sharing physical white boards. There are now reasonable quality USB 2 webcams, but focusing beyond 10 feet can be a real problem. Autofocus, even when it exists, is slow and unreliable. Current webcams have very limited dynamic range. They seem to be tuned to keep from blowing out the high (right) end of histogram, so contrast extremes produce a lot of dark areas. Glare from reflected lights are a real problem. We need next generation sensors to improve the dynamic range. Our CMOS (vs CCD) webcams have surprisingly good light sensitivity, even with small lenses and tiny sensors. I often find better results with relatively dim but indirect lighting. I'd like to see some levels on the webcams to help with orientation. Oh, and a $%!$! tripod screw too. Velcro tape and black tape are most helpful, yeah, just like in the movies. Relatively modern laptops seem to have just enough horsepower to do at least 640x480 at 15fps with the newest variants of adaptive h.264 compression. That seems to be the current practical limit. Gmail based Google Video Chat (Vidyo technology) has given us the image quality we need on both XP and OS X. It hasn't, however, been very robust. GVC is point-to-point, no multicasts. It also has voice quality that's sometimes excellent, but we prefer to use standard phone conferencing. Stack Overflow likes Oovoo and Adobe Connect. Both have some multi-user support, but in our tests OOvoo had a lot of dropouts. On the other hand, we've had GVC issues as well. I'll update this post as I learn more. Incidentally, Google's help forums are a waste of time. I think the XP to OS X connections have problems when a corporate VPN or firewall is involved, the XP to XP connctions seem more resilient. I wish it had happened six months ago, but for the past month or two editing clips from our Flip Video camcorder in iMovie 8 (on a MacTel machine) has been painless. With iMovie 8 the imported AVI files are not transcoded, they can now be natively edited. I don't know about iMovie 7 and I've not tried on my G5 PPC machine. I bought my LifeCam VX-6000 two years ago. For most of that time it sat on my shelf. Now, thanks to Google Video Chat, and several Microsoft updates of the incredibly botched device drivers, it's finally useful . It's a pretty plain webcam, but it does 800x600 video and that's more than our infrastructure seems able to handle these days. Even 640x480 over Google Video is enough to make a small but close whiteboard readable. The killer feature of the VX6000 is the manual focus ring. It's chintzy, but it makes all the difference. Right. Always in focus. Uh-huh. They still sell the VX-6000 by the way, but they don't mention the focus ring. Gotta love marketing. Except from (excellent) Amazon reviews we learn that the VisionPro's autofocus is controlled by the computer, not the camera. So it's sluggish and slow. It also sounds like some VisionPro's can focus further than others, and anything beyond 8 feet is pretty iffy. There's no manual focus ring on either the Logitech or the LifeCam. Grrr. To deliver image-perfect detail and clarity, the Logitech QuickCam Vision Pro webcam for Mac combines Logitech’s premium autofocus technology with Carl Zeiss optics. The new Logitech webcam uses a voice coil motor for its autofocus system, instead of a stepper motor. Focusing is fast and fluid – crisp even in extreme close-ups only 10 cm from the camera lens. Logitech’s autofocus system compensates for changes in image-edge sharpness and refocuses images in less than three seconds. Autofocus and autoexposure (light level) are done purely in hardware. There's no software to install. This is different from the earlier Logitech QuickCam 9000, which depended on Windows software to do the focus and exposure, which lowered the price of the webcam, but forced you to use Windows. The microphone is pretty good for a webcam, but you'll still want a headset for clear conversation. Frame rate is very fast and smooth, 30fps at 640x480. ... The included stand is very wobbly, and falls down easily. When set on top of the monitor, gravity's the only thing holding it on, it will slide off easily. Unlike the older Logitech webcams with flexible plastic that could mold into place, this camera has stiff plastic, so it doesn't maintain as good a grip. No zoom. Frame rate gets much slower if resolution is increased beyond 640x480. At 960x720, it's 15fps. At the maximum 1600x1200, it's only 5ps. Anything above 960x720 is just hardware upscaling, as the true optical resolution of the webcam is 960x720. The ability to work without drivers on XP is very interesting. For my purposes I may stick with the LifeCam, but buy one or the other of the Logitechs for our other team members. The process of establishing a trusted chat relationship is nuts. See update to my Google Video Chat post for what I think works. Be careful. You may find your chat software won't allow anything beyond 640x480, so this number may be pointless. iChat peaks at 640x480, and practically speaking, that's the limit for everything today. I think to do better we'll need dedicated hardware based h.264 compression on the camera. I had to order several XP webcams as part of a corporate order, and based on this review I ordered one VisionPro and several Pro 9000 cameras. ... On my XP SP2 laptop the camera took a few seconds to register. In Windows Explorer it then showed up, next to my drives, as a "USB Video Device". (In properties it's "manufactured by microsoft".) Clicking on the "USB Video Device" in Explorer opens a video window. In this display is no "mirroring" or zoom since we're just seeing unmodified output. The camera focused clearly at 6" (rather better than claimed) and at about 30 feet. Adjustment to light levels is automatic and impressive. The dynamic range (ability to deal with glare, bright and dark areas) is vastly better than my 1-2 year old Microsoft VX-6000. It's a solid device. Mr. Krellan is correct that it doesn't mount very securely but I think will suffice. Google has added a (phone) SMS gateway to their Instant Messaging and Video (Chat) Conferencing Gmail extensions. This would be more interesting if we didn't pay 40 cents every time I sent Emily a text message. My interpretation of this cryptic announcement is that the first time you use Gmail to send an SMS message, your Gmail identifier is assigned a unique 406 phone number. From that moment on SMS to that number go to Gmail. Makes me wonder if there's a GrandCentral angle to all this. It's not clear whether other phones, with whom you've never communicated, can use that unique number to send Gmail an SMS. From my perspective this is backwards. I want Google instant messaging on my iPhone, I don't want to bother with SMS at all. Update: Chris, in comments, notes that 406 is Montana's area code (I also had a 404 typo I've corrected). They chose it to get lots of free numbers. I've had a Spamcop address for years. This is a hint regarding a serious problem for MobileMe users: Outgoing mail via smtp.me.com may not actually be sent if it is sent to certain domains. If a message is caught in this domain filter, it is silently dropped without notification to the user. None of the recipients of the message will receive it, even if they are not in the filtered domain. This problem occurs with mail sent through Apple's Mail app, on the iPhone or on Mac computers. It does not happen when sending via the MobileMe webmail interface. So far, only spamcop.net has been identified as a domain filtered by smtp.me.com, but there may be others. This problem is testable and repeatable as of this writing; you can test it yourself as follows. On a Mac or iPhone, use Mail to create a new message using your MobileMe account. In the To field, put support@spamcop.net, in the CC field, enter a valid personal email address, and in the Subject field, put test, then send the message. You will not receive the cc message, and you will not receive an acknowledgment from spamcop.net. Try sending from a non MobileMe account; you will receive both very quickly. More discussion of the problem can be found in this thread on Apple's discussions site. This has been happening for months, apparently since the transition from mac.com. The problem has been reported to Apple, and apparently some in frontline support are aware of it, but others are not. In the meantime, all MobileMe users should be aware that their outgoing mail is apparently filtered by domain. If you're sending to a spamcop.net address, be aware that the mail will not be sent to any recipient, nor will you be notified of the problem. It's the silent policy that's unforgivable. If this is policy rather than bug then Apple has jumped the shark. So that brother who's not speaking to you any more? Maybe it's because you didn't respond to the desperate email he sent from his MobileMe account a month ago, the one Apple silently deleted. Many I didn't know but should use: Free Microsoft Excel Cheat Sheet to Download and Print. A recent update to my Retrospect Professional for Windows  put a Mozy link on my Retrospect left sided navigation bar. I sign up for the free 2GB account. Of courses I'd never buy without testing. No. It can't be. I've been conned! It's just a stupid hyperlink! There's really no integration. Argghhhhh. And I was just starting to think kindly about Retrospect. It's much less buggy than it was two years ago. Still way too complex for non-geeks, but reliable is good. That'll teach me to think kind thoughts of software vendors! EMC just ripped off 20 minutes of my too-short time on earth. It mostly backups my Macs, but it works so I keep it on my ancient XP box.